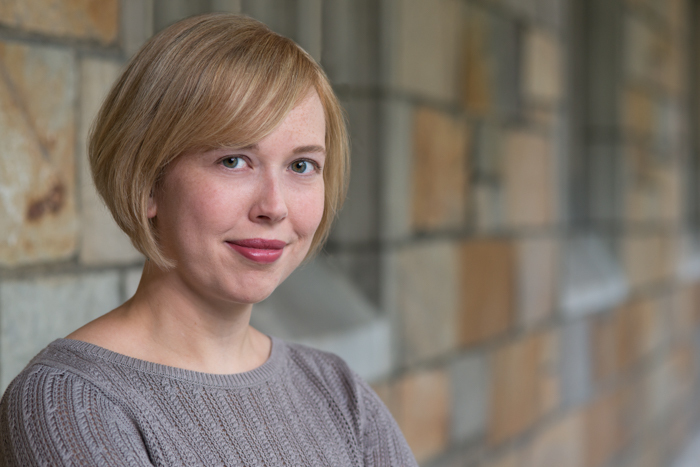 Midwestern Gothic staffer Jamie Monville talked with author Rebecca Adams Wright about her collection The Thing About Great White Sharks, the essence of the Midwest, speculative fiction, and more. Jamie Monville: What’s your connection to the Midwest? Rebecca Adams Wright: I was born and raised in Michigan, attended college and graduate school at the University of Michigan, and decided to stick around the Ann Arbor/ Ypsilanti area. Now I’m married and raising a daughter here. JM: In what ways do you feel that the Midwest has influenced your writing? RAW: Midwestern essence winds around me like a vine. I’m sure that our landscape and culture have permeated my work in a million different ways, many of which I may never become aware. One influence I do see in my work: if I’m not careful, my protagonists become so affable. I blame the Midwest for that. Curse our cultural politeness! There is sincerity in the outlook of my characters, too, which I think has leached out of my own Midwestern experience. For a long time sincerity was so uncool. But I’ve learned to embrace it in the right context. JM: What draws you to write the genre of science fiction and fantasy? RAW: My own stories feel most authentic when they push the boundaries of our everyday lives. Forcing my protagonists to engage with fantastic circumstances of some kind—ghosts, alien invasions, talking flowers, life in the far future—is a technique that allows me to add so many layers of complexity to their stories. Weaving a speculative element into an otherwise conventional story makes us confront the routine or the mundane in whole new ways. And an almost fully speculative story, bursting with fantasy or science that nobody has explored yet, prompts the imagination to ask all sorts of questions about what we are, where we’re headed, and how we live. Our perception of reality is a spectrum, full of absurdity and tricks, rooted in pattern. Speculative fiction shakes me out of my patterns. Writing in these genres stokes my sense of wonder and encourages me to take risks. JM: You have said that “your stories begin with people,” often unconventional ones in unlikely circumstances, that you cannot get out of your head. Where do these people come from? And do you imagine these characters and their situation simultaneously? Or is it a person you imagine and then create their situation? RAW: I wish I knew where they come from so I could stock up! Usually a person and a situation arrive simultaneously. For instance, when I wrote my short story “Storybag,” it was because I couldn’t shake this image of a traveling salesman opening an uncanny sample case. I didn’t know anything else at that point except that this certain unlikely man was going to find a very particular and upsetting something in his bag. After a while, the rest of the details filtered in. Ed, my protagonist, delivered them to me one at a time. 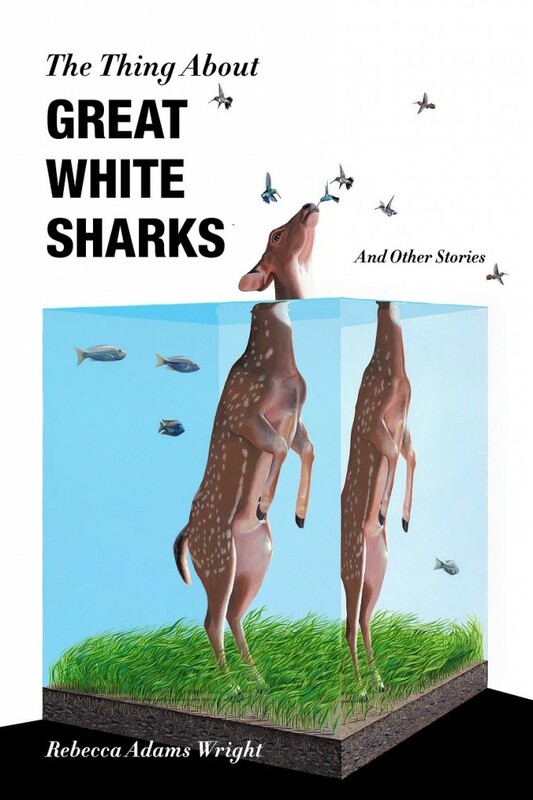 JM: Your collection The Thing About Great White Sharks and Other Stories often juxtaposes humor with pain. When you’re writing a story how do you navigate those two contrasting, but often oddly complementary extremes? RAW: Humor is such a natural defensive response. We’re all aware of when we’re laughing so we don’t cry, and we talk all the time about “black comedy” and “gallows humor.” I think humor plays a similar defensive role in fiction. Satire, especially, keeps violence and anger and grief just palatable enough that we won’t turn away. My most humorous stories are almost always the darkest, probably for that blade-dulling effect. It’s a balancing act for sure. The writer needs to be sure the humor is appropriate to the situation, keep a story funny enough to avoid melodrama or simplified pathos without overwhelming the emotion behind the comedy. I think about this balance while in the process of revision. Not so much while I’m drafting, because humor has to bubble up naturally. Force it onto the page, think about it too much, and you’ve already failed. JM: Your collection also features several stories about animals and the ways in which they interact with humans and vice versa. What about this dynamic interests you? RAW: Animals play so many roles in fiction—they stand for our attitudes toward the natural world and allow us to examine the role instinct plays in our own lives. There’s something immediate and compelling about them, too, perhaps because they lack verbal communication and so can easily become blank slates for our own perceptions and fears. The way we treat animals, individually and as a society, says a lot about our species. There is an absurd element to The Thing About Great White Sharks that I really enjoyed exploring through many characters who are working feverishly to connect with or control sometimes feral or otherwise bizarre animals. JM: What’s one thing you wished you’d known when you first began writing? RAW: That writing takes a long time, so much longer than you think, but that there will never—never—be a time that the words aren’t worth the wait. Even my biggest failures have taught me something about craft, or storytelling, or writing discipline. I also wish someone had told me that meeting your initial goals for your work or your career will not mean that you’ve made it and you’re done—the glow of accomplishment fades and the goals progress with you. That might sound depressing initially, but it’s actually the most exciting thing in the world. There’s always another fence to jump and another story to tell. You will never run out of ways to improve. JM: Which writer has most influenced your style? RAW: There’s no way I can give you just one! But a quick list of writers who have made an impact on my voice, style, and storytelling would have to include Ray Bradbury, Kelly Link, Karen Russell, George Saunders, and Neil Gaiman. JM: What’s next for you? RAW: I’m currently at work on a novel about a teen dad who discovers that his son is maybe not exactly human. It’s an idea I’ve been rolling around for a while, and I’m looking forward to turning my full attention to the story. I think this one is headed to some weird places and I can’t wait to see where we end up. Rebecca Adams Wright is the author of The Thing About Great White Sharks and Other Stories, which received a starred review in Publisher’s Weekly and was labeled “terrific” by Entertainment Weekly. She is a graduate of the Clarion Workshop and has an MFA from the University of Michigan. Rebecca has won the Leonard and Eileen Newman Writing Prize, So to Speak magazine’s 2009 fiction contest, and a late-night Emily Dickinson poetry challenge. Her short stories have appeared in Day One, The Account, and Daily Science Fiction.